cf. NDX post below for guidance. NDX needed to hit 2000 to trigger significant selling. We all anticipated that, it is however still always amazing to see. We now have to see whether the market consolidates soon or not. The bias remains up overall. Despite the sudden profit taking session yesterday, we have no indication of a continuation of the fall. Significance level is low so we'll favour channel lows and Fib/MM levels for possible support (including current level). NB: Intraday time frames give great charts with a support level at 1938. MTFS points towards a congestion at this high level but a minor retracement is possible without affecting the ongoing recovery overall. 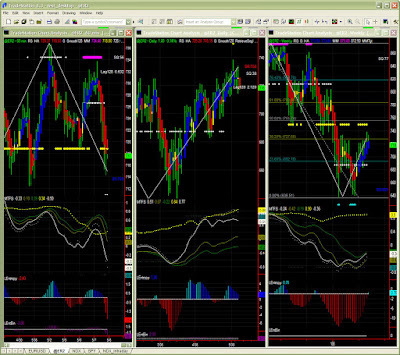 Like on the 60mins chart, we will look closely at Fib/MM levels even more so since significance level is high. In case of retracement, we will look for support around 1910 then 1880. The Swing is still down, in agreement with MTFS which is still only in an upward retracement mode. 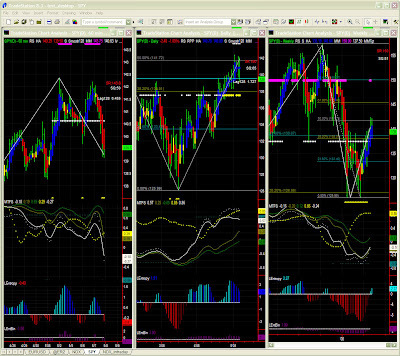 This confirms the scenario whereby the 2000 area should remain a strong resistance level (Fib + MM). 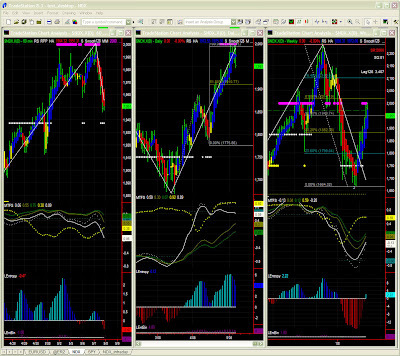 Now we have to see how a retracement accelerates the completion of the MTFS pattern.